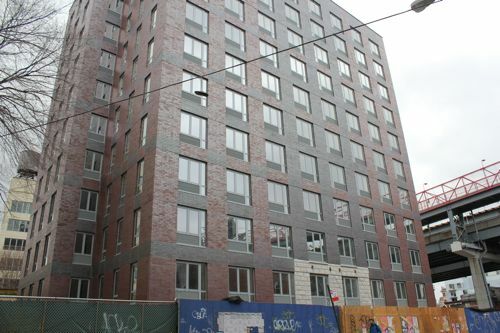 Work-in-progress 373 Wythe Avenue in Williamsburg will be a rental called… The Williamsburg. The creatively named 13-story, 84-unit development at the foot of the Williamsburg Bridge launched a teaser site. The apartments will be studios, one-bedrooms and two-bedrooms. Halstead will be marketing the property, which was designed by Karl Fischer and stalled in early 2009.